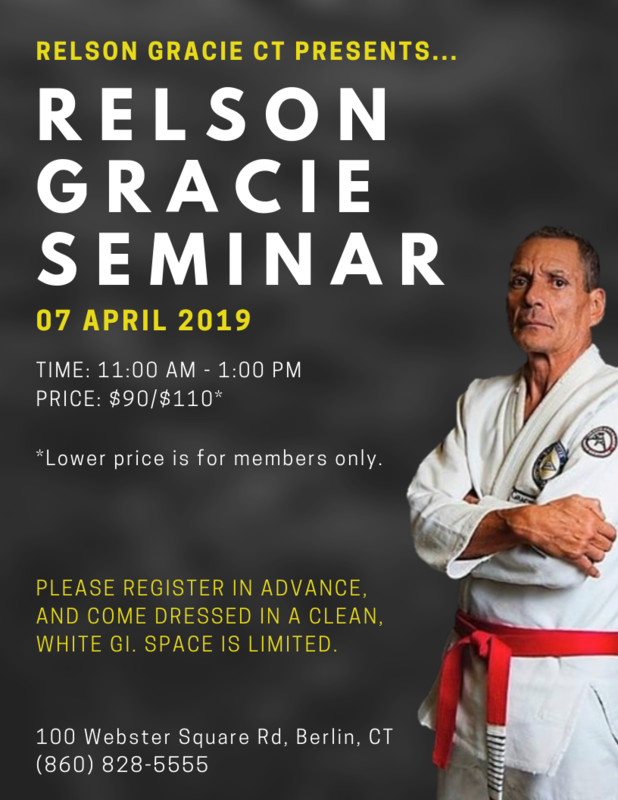 We are hosting a two-hour seminar with Relson Gracie on April 7th from 11:00 am - 1:00 pm. The cost is $90 for members and $110 for non-members (outside the Relson Gracie affiliation). We are capping this event at 25 people. Members of our academy can reserve their spot via the list on the bulletin board. Non-members should call the academy to register. For all individuals, your payment is due prior to the event date and is used to reserve your spot.